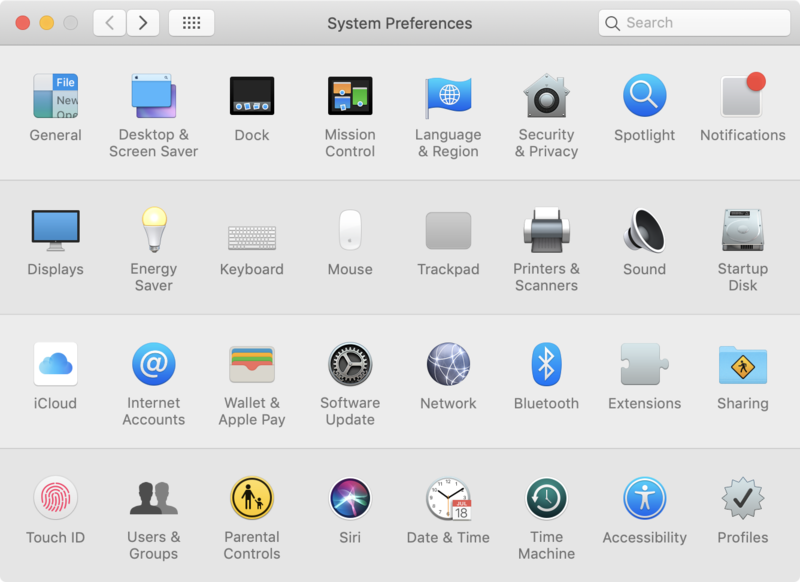 How to I disable the screen saver on my 2014 MacBook Pro, running MacOS Sierra 10.12? I have a need occasionally to keep the screen display on, but I might not use it for 20 minutes at a time. I want to disable the screen saver, but the button to adjust the time (I presume it has a 'None' option) is disabled. How can I enable that dropdown, in order to change the 'Start after' time? Or is there somewhere else I should change it? 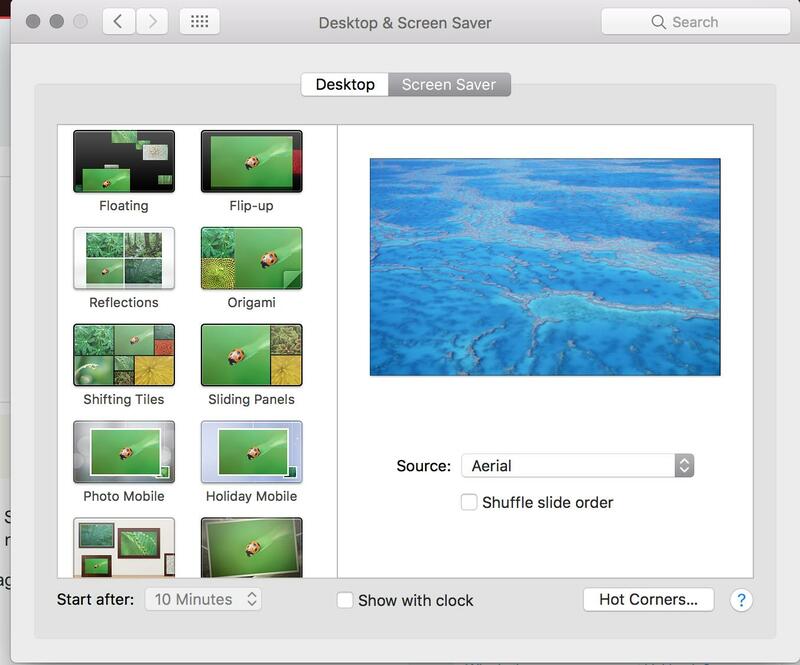 I know that I can use hot corners to disable screen saver, but that's too hacky - if I forget to put the cursor in the corner, it doesn't do it, and I only know when the screen saver comes on - which is frustrating. The system administrator has probably set the screensaver timeout in a user profile. You can't change it without removing the profile, which will probably cause you to lose network access. if you have a profile, one of these files has its settings: ~/Library/Preferences/ByHost/ look for a file with a long name that begins "com.apple.screensaver". There may be two such files. Move the one without the word "slideshow" in the name to the Trash.